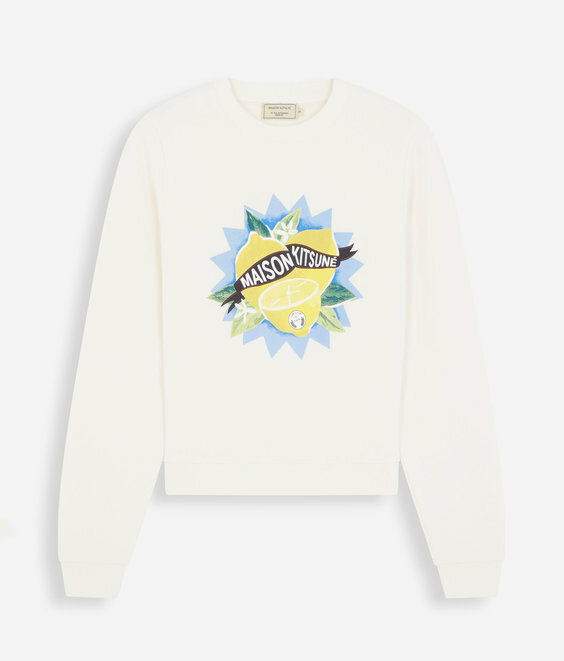 This MAISON KITSUNE cotton fleece sweatshirt is a revamped version of the timeless classic. 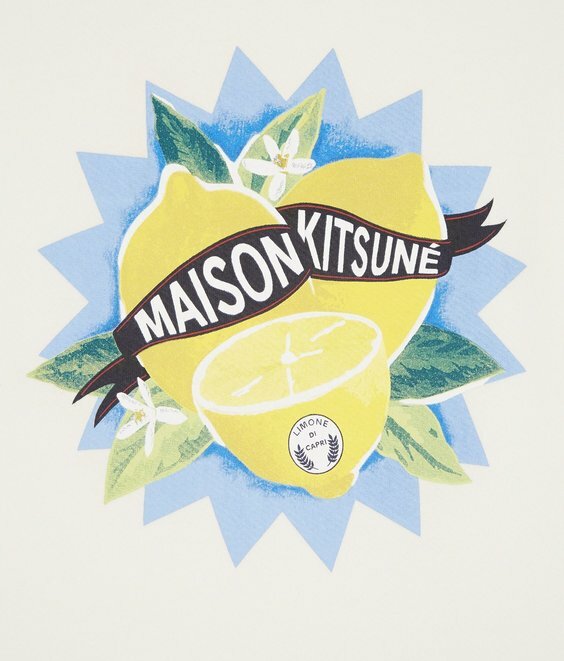 It is designed with long sleeves and a round neckline. 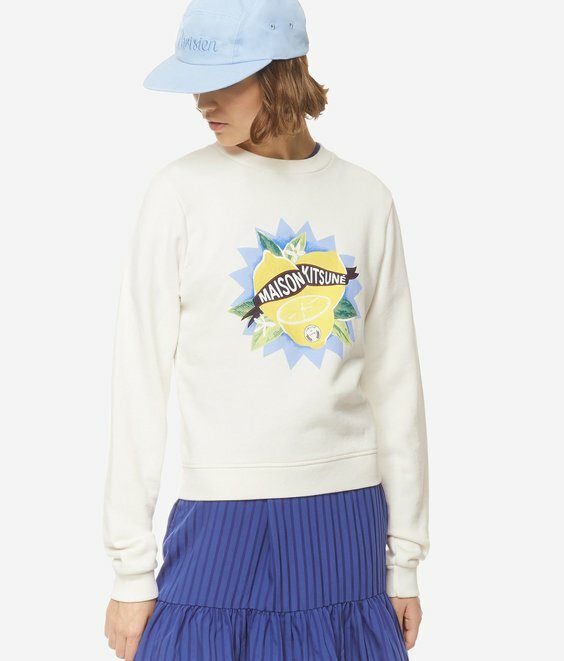 Featuring a Sicilian lemon flock print inspired by advertising logos, this ribbed straight-cut sweatshirt will look gorgeous with high-waisted pants and a pair of sneakers.